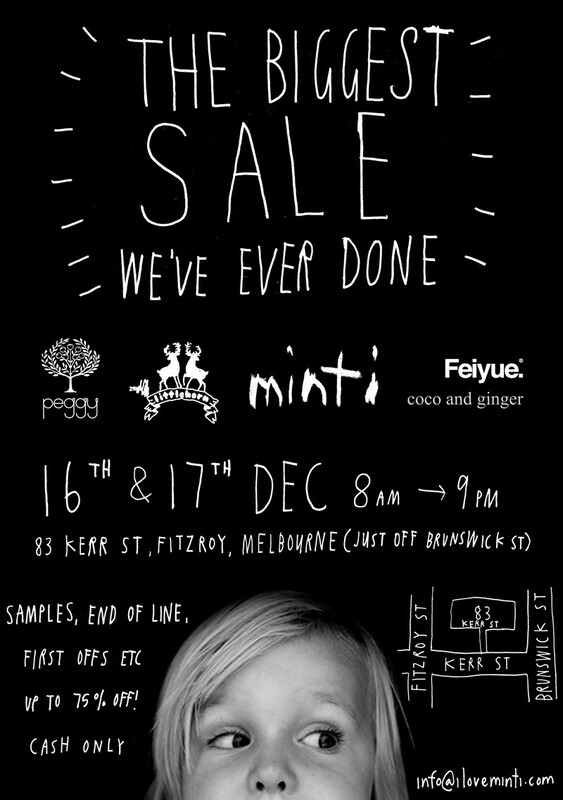 This is one not to be missed with the best brands in the industry coming together to give you one massive sale pre- Christmas! Samples, end of line's, first-off's and just general amazing stock to fill your children's wardrobes, aged from baby right up to size 12 for girls and boys. Minti and Littlehorn will give you the coolest streetwear, back with Feiyue shoes to complete the look. Coco and Ginger and Peggy will give you your floral fix for some seriously cute and pretty outfits for summer. Prices are seriously awesome, and start at $5.